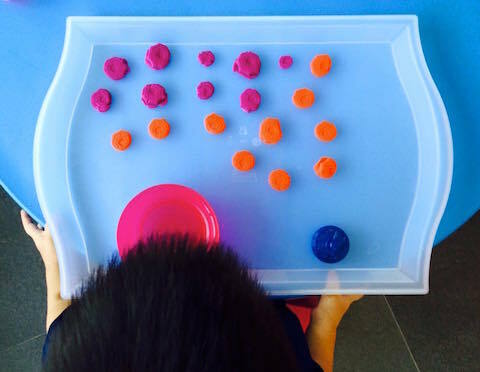 El (2y4m) wanted to work with playdough today, so we did some right brain math at the same time. We’ve a small mould that makes spiders. He wanted to use that. 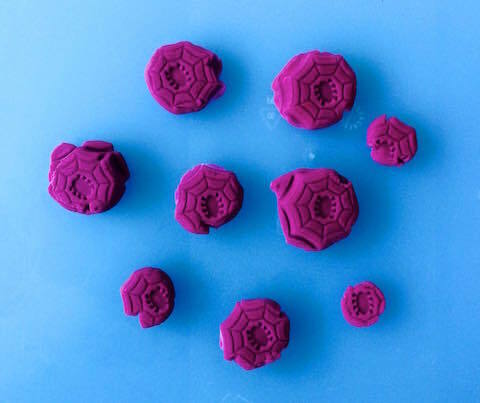 I rolled the dough into small balls while he printed them. As he completes a new one, I’d point to the total number of spiders and say the quantity aloud. The spiders are arranged randomly, similar to random dot flashcards. At this stage for him, he’d want to parrot after me. I said the quantity in English, Chinese and Malay for multi-language input. He proceeded to make more spiders with another colour. This is a chance to say addition equations aloud. Finally he returned the spiders by sorting into colours. Grouping and sorting are important preschool math skills. Notice that the activities are child-led. I simply followed his cue and extended by providing language and math input. 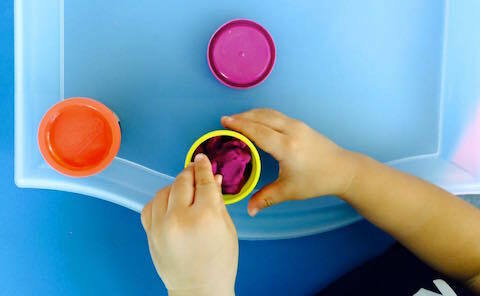 In the process, he also worked on fine motor skills and visual art (colours, shapes, forms). However, if the child prefers to work in peace at that moment, then refrain from giving input. The more you interact, the better you’d understand his learning style. Previous post: Toddler sand play, cutting, etc.